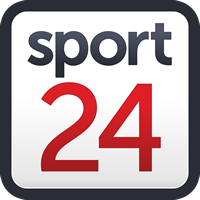 It may have raised eyebrows for Emirates Lions fans ahead of their Vodacom Super Rugby derby against the Cell C Sharks on Friday, but Springbok flyer Aphiwe Dyantyi’s selection in the midfield is a calculated risk for coach Swys de Bruin. Plus, given the challenge that awaits the Springboks in Japan, to have the Bok winger be able to fill in at 13 in an international match may not be the worst decision out there. Versatility is a great bow to have in any rugby player’s arsenal and it won’t be surprising to find that the idea originated in conversations between De Bruin and national coach Rassie Erasmus. There are several reasons why Dyantyi will find it good to play at 13, not the least because of the challenges when it comes to marshalling defence. The one criticism of his play in his breakthrough year was at times being out of position on defence and the Lions have chosen to empower, rather than to protect, to give him a chance to prove himself. For De Bruin, there are no reasons why he can’t succeed against a top class Sharks and Springbok midfield that he will face this weekend. Both Andre Esterhuizen and Lukhanyo Am are very much in form at the moment and will certainly provide the kind of test that the Bok management will be hoping for. “I think Lionel (Mapoe) will tell you that. If Lionel plays wing, 12 or 13. They all know the detail and they should slot in. When you have players in your team that slot in and adapt, it makes things a lot easier. Mapoe plays his 99th game in Super Rugby on Friday, with his century likely to come up on tour down under. But the veteran Springbok has no qualms about partnering his teammate in the midfield and feels Dyantyi’s natural exuberance and talent will come to the fore for the attacking game plan that the Lions hope to employ against the Sharks. It’s a fascinating gamble – or opportunity as Mapoe puts it – and it may turn out to be a good move for the Boks in the long term as well.